Arklam, the large-format sintered dough that is consolidating itself in projects all over the world, will be present from 28th January at Cevisama, with the novelties in 6 mm for floor and wall cladding and ventilated façades, and at Espacio Cocina-SICI, with the range of 12 mm for kitchen countertops. Both events will take place from 28 January to 1 February at Feria Valencia. 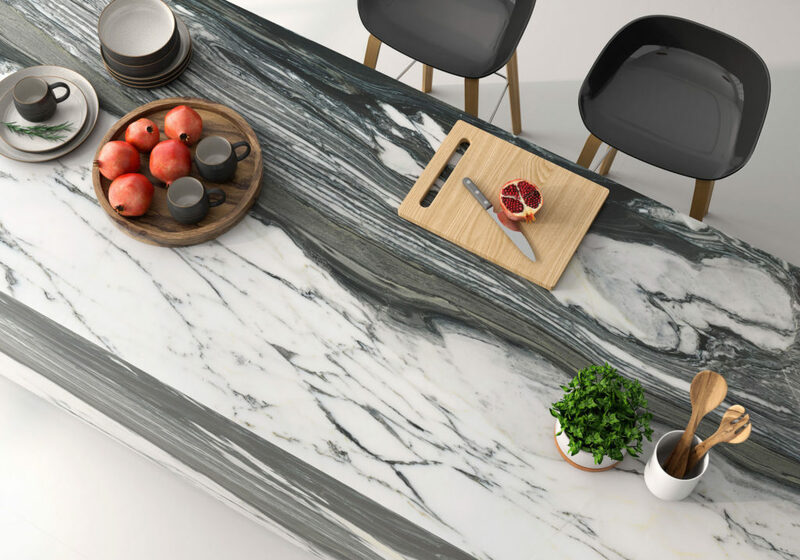 Arklam 12 mm opens this year as an exhibitor in Espacio Cocina, showing in its stand (N3 P6 D103) the latest proposals for kitchen benches and countertops, among which the Arabescatto Corchia model stands out, in 1500×3200 format, Silk finish and a spectacular design that will not go unnoticed in this event, considered the main forum in Spain for the kitchen sector and attended by the main national and international firms and brands of furniture, complements and equipment for the kitchen. 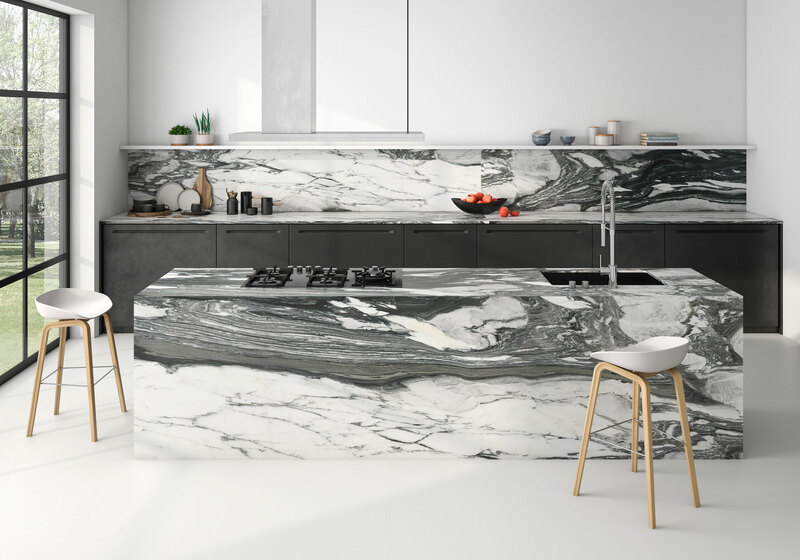 Arabescatto Corchia is an imposing model that takes as its source of inspiration the arabesque marble, a variety of fine grain Italian white marble with a white background with dark grey veins that form arabesques. Its decorative potential makes it an option that wastes sophistication, exclusivity and character. Along with this novelty, those attending Espacio Cocina-SICI will also be able to discover other models that were already presented with an excellent reception in the last edition of Cersaie, such as Atlantis (in open book version), Londra Matt Polished, Palisandro Blue and Pierre Bleu. In addition, Arklam will exhibit in Cevisama (N2 P2 D38) the new 6 mm collections created specifically for this international meeting, which are presented in 1000×3000 and 1500×2600 formats and are oriented towards exclusive projects that require exceptional technical characteristics and exclusive designs. These novelties reinforce the objective of consolidating itself as a perfect material for flooring and cladding, ventilated facades and even furniture cladding, which, in fact, has earned it the NAN Architecture and Construction Prize for the best product of its category in Spain. 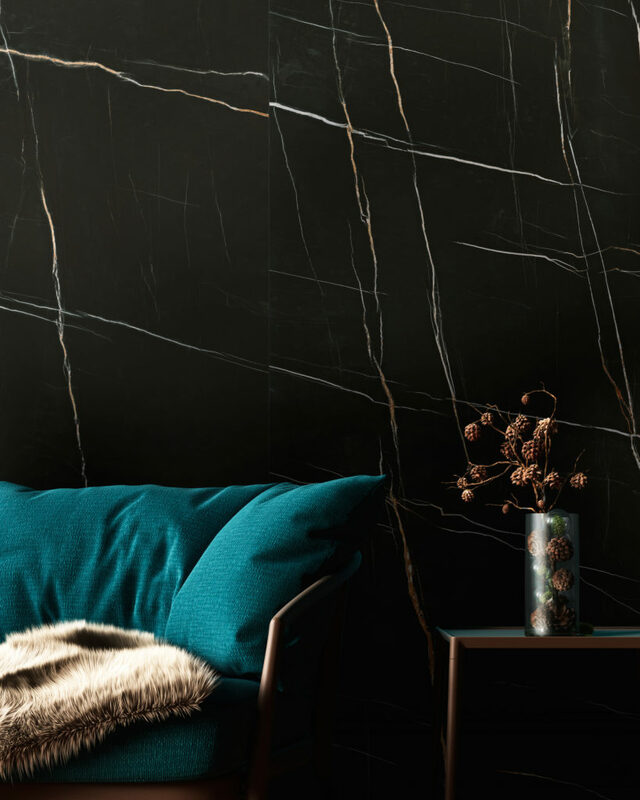 One of Arklam 6 mm’s big bets for this edition of Cevisama is Sahara Noir, a black marble from Pakistan and Tunisia in which white veins and irregularly distributed brasses are its hallmark. A spectacular model that dresses the surfaces of elegance and sophistication. Sahara Noir has two versions, depending on its finish (Polished or Silk) and has four designs for an absolutely impressive decorative result. On the other hand, it is worth mentioning Pandora’s new matt finish, a model that reflects like few others the passion for white marble, but with a reinterpretation in which the purity and light of this colour are combined with lines arranged in a seemingly random way in a perfect union. Originally, this model has been conceived from a deep study of the most current trends, which bet on converting the classic into avant-garde, from a design taken care of to the millimeter. 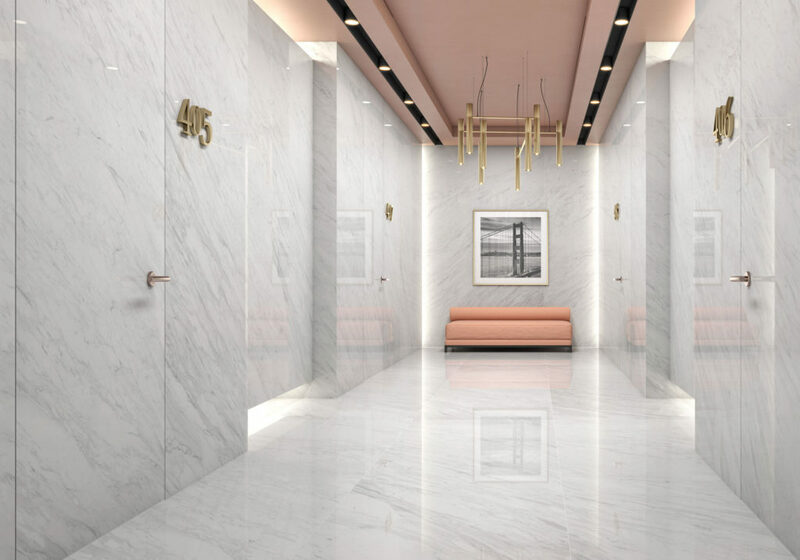 The result translates into maximum originality as an aspect of great value in high decoration and in projects that seek exclusivity and differentiation. Finally, Arklam 6 mm presents Volakas, which has a Polished finish and is inspired by the exclusive marble of Greek origin, also known as ‘the Carrara of Greece’. This novelty is an astonishing reproduction of the prized white natural stone with its unmistakable grey veins, profusely used for sculptures and other decorative objects in antiquity, and is characterised by its smoothness, homogeneity and resistance.